Times are tough. Millions are unemployed. House prices are wobbling, and bankers don’t dare lend money due to the risk that customers will lose even more of it than the banks have managed to lose for themselves. In this climate, it’s more important than ever to know your credit score (also known as your credit rating) before you apply for a mortgage or a loan. The days of banks literally mailing you blank cheques to encourage you to sign up for credit cards are gone. Nowadays you need to check your credit score, and if necessary try to repair your credit record before you apply. Know that in most cases, a company searching your credit file will leave a note that it did so. Too many credit searches – perhaps due to companies checking your record and then rejecting you – will only make a bad credit score worse. Avoid this spiral by knowing how to get a good credit score in advance. There are three main credit reference agencies in the UK: Experian, Equifax, and Callcredit. Banks and other companies use the data held by these companies to assess your creditworthiness. The reason you have no single ‘credit rating’ is because the three companies have different ways of assessing you as a credit risk. Unfortunately you don’t know which agency will be contacted after you rock up demanding £200,000 and a smile from your friendly neighborhood bank / online comparison website. To be extra diligent you can check all three, using the statutory method I’ll detail below. I think the best thing to do first though is to check one for free, to see if there’s any low-hanging rotten fruit on your record that you can fix. If you’re not registered on the electoral roll, for example, or if a former inhabitant at your address – and his unpaid bills – is being erroneously linked with your own finances, then you’ll need to write to the appropriate authorities and/or the agencies to get that sorted. You should get out of debt as a matter of urgency whatever your situation; this will usually improve your credit score, too. A very easy way to check your credit score for free is by signing up to the CreditMatcher service from Experian. CreditMatcher claims to enable consumers to check their Experian Credit Score entirely for free and is updated every 30 days. If you’ve never checked your credit score it can be quite an eye-opener seeing how lenders may view you. If you’re new to credit scores, you could consider signing up even if you don’t think you’ll need credit in the near future, just to get better informed. I wanted to check my credit score because I constantly vacillate as to whether I should buy a home. Since I think house prices are too high, the main reason to do so would be to lock-in a cheap mortgage rate. However only squeaky-clean customers get the best deals these days, hence I wanted to know my credit score in advance and take remedial action if I need to. Signing up to the free trial with Credit Expert took all of five minutes, but you can’t get instant access to your credit score. For security reasons you are not given a secret PIN when you sign-up. Instead, you are mailed it separately by post. I think this is a sensible precaution (you don’t want criminals impersonating you) but it did take about six days for my PIN to arrive. That’s six days used up out of the 30-day free trial – because membership starts as soon as you complete the online registration. Once you have the PIN number, it only takes a moment to complete the registration process and see your credit score. Experian rates you on a score from 0 to 1000. When I last checked my credit score five or six years ago, I scored in the mid-700s, which the company described as “fair”. 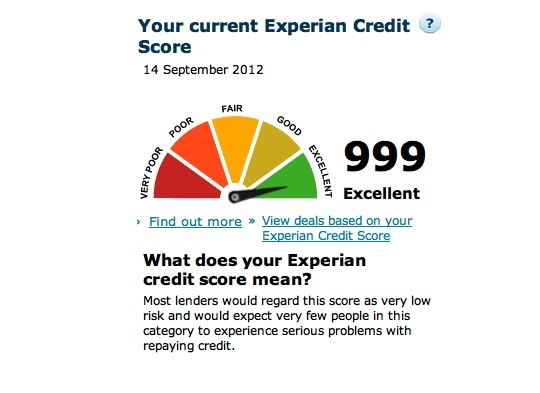 My new credit score of 999 is only one off the maximum mark of 1,000! What’s interesting to me is that my financial situation – as far as Experian can tell – is little different to how it was in 2005. My net worth has multiplied, but the credit agencies can’t see inside my savings and broking accounts. I paid my bills on time back then, and I pay them now. Staying in the same house for five years. Getting a Platinum American Express cashback credit card. Getting a land line and certain utilities in my own name (I shared these 5-6 years ago with a mix of housemates). Changing from PAYG to a monthly iPhone contract. Alternatively, maybe the rumours of ruin for much of the population are true, and everyone else has simply slid further down the credit rankings! If that’s you, see this article from MoneySavingExpert for information on how to improve your credit score. It’s possible that my credit score could actually hinder some applications – for example if a bank decided it wasn’t likely to make any money from me running up a credit card balance. (It would be right – I pay them off every month). My score should be good for getting a good mortgage rate, though it would only be one part of a picture including salary, outgoings, and so on. Before I signed up to the Credit Expert free trial, I had read that it was very difficult to cancel. These reports turned out to be misleading, in my experience. It is true that you can’t cancel online, which is annoying, and perhaps does encourage some people to stay subscribed longer than they mean to out of laziness. However it took me two minutes to cancel via a phone call. I called on a Thursday afternoon. The chap on the other end was perfectly polite. There were no hard sales tactics, although I was given the option of identity fraud expenses insurance at a cut-price rate, which I declined. I can’t discount the possibility he was employing subtle persuasion strategies that evaded my radar. Given that I cancelled successfully, however, it seems unlikely, or at least he failed. Perhaps the hardest part is finding the number to call to cancel! It may be buried in the service’s FAQ, but I couldn’t find it. The 0844 number isn’t free, but I didn’t have the free number at that point and I doubt it cost me more than 20p to make the call. (Note you have to call the free number from a landline to avoid being charged). To ensure you don’t accidentally start paying for Credit Expert membership, mark the 30-day expiry date on a calendar when you set up your account, or better still take off a few days for luck. Remember the trial begins from when you open the account, not from when you’re granted access, so be diligent to avoid an unwanted bill. Under the Consumer Credit Act, you are entitled to obtain a full credit report from the three agencies I mentioned for £2 for each, via the post (or in the case of Callcredit, also online). I’d probably do this once I’d cleaned up any obvious black marks via a free trial, as otherwise you’ll need to keep spending £2 to see what’s changed. Each company gives you a form to fill-in that you can post with a £2 cheque in order to get your report. After you’ve cancelled your free trial membership with Credit Expert, you can reopen your account at any time using the same log in details, which will save you waiting for confirmation. I presume you don’t get a second chance to check your credit score for free, but I could be wrong. I’ll check-in again with Experian in six months and let you know. Should you cancel your unused credit cards? Getting a contract instead of PAYG is IMHO not a good idea. Yet Credit agencies love people buying things on credit, before they can afford them. In the UK debt is wealth! Have some citizen points to go shopping, comrade! ps great blog, reading every one. We sound very much alike. I too have been in the same place for five years, have a Platinum American Express credit card (which I have for the cash back, keeping my money in savings for that extra month and of course pay back in full via direct debit every month) and have a land line in my own name (to get my internet access). The difference seems to be that I’m still PAYG with that monthly contract cost going to savings. Can’t be bothered to check my CR since I will never need credit. I, too, am on a cheapo PAYG, but I will confess that I would really like a a high end smartphone on a tariff. But for the amount of use it would realistically get, I can’t justify it. @Neverland — The joy (or otherwise) of this blog is it’s the truth — unlike some financial bloggers I’m not pretending to get everything right. 🙂 Housing has easily been my biggest financial mistake, as I’ve said many times. A mistake I’ve been making for nearly 20 years! Hopefully that candor makes my occasional good calls more believable, too. All that said, whilst it would be just my luck to buy at the top of the London market, I don’t see it happening. There’s a tiny chance I might buy in the provinces (at least 50 miles or so outside) but I wouldn’t hold your breath. I’m curious, though. I’ve noticed that sites like Topcashback often have deals whereby you can even get paid to check your credit score. I think it was £30 when I did it a couple of years ago, though it’s probably less now. Of course, it’s vital not to give it straight back by forgetting to cancel promptly! Secondly, it’s important to remember that the nominal rating or score that Experian et al may give you is largely meaningless. Well, perhaps it’s a useful guide, but do be aware that lenders don’t use it. The agencies simply supply the data file, and each lender will have their own rating algorithms based on the information therein. Just so you aware – the credit ‘score’ that the various CRA give you is pretty much useless. It gives you no indication of whether you will be accepted for credit as the bank use their own criteria to assess each application. Also note that at no point did you enter your actual income, which is a very important factor into your credit worthiness. To put some context around it, my partner is a stay at home mother and has no income, she was no debts and a secured credit card with a limit of £200 (with a £200 security on it!). Her credit ‘score’ is also 999. She cannot get credit anywhere, obviously – no income. The only people that benefit from credit ‘scores’ and the CRA themselves, as they can charge gullible people for it. Holders of Capital One credit cards get two FREE Equifax Credit Reports per year. @Dave P — I’m not doubting your experience here, but everything I’ve read suggests credit scores are an influence on whether you’ll get credit. I agree and say above that banks have their own systems, too, and that of course income is important. @Fulloffish — Good tip, thanks! > the best way to get the iPhone … was via a contract. This is begining to sound like a mobile phone forum! I have a smart phone on PAYG, with free text and free 500MB data in 30 days each time I add £10 credit, and data at £1 per day other times. Therefore each month I use the free data, then I use the credit for ten days, then I top up another £10. This works out at £10 for 40 days, or £7.50 per month, with the option to not pay when the phone is not in use (when I have wi-fi, holidays, etc). My operator no longer offers this deal to new users, but I hear GiffGaff do good deals, as do Tesco. Also PAYG with a modest balance protects you for loosing too much from App scams, hacking, lost phone, etc. That depends on your opportunity cost of money. For all us readers know, you could have made more in your other investments over that period. @David Stuart — Follow my link to Experian above, in the statutory report section of the article. It goes directly to the £2 ordering page. As for the Platinum Amex cash back charge, mine has no fee. Perhaps the terms have changed? Yeah, the terms changed on the Amex card. I must have got in in time, because mine also has no fee. I probably wouldn’t pay one either, instinctively, but pragmatically – that £25 investment would have given me a 400% return last year, just from normal spending, so it’s probably still worth thinking about. The APR is irrelevant, David. Looking up at the screen the list of names who’ve said they hold this card, I’ll eat my hat if any of us has paid a single penny in interest on that card. Thanks for sharing your tips. It’s always interesting to see how credit scores change over time even with seemingly few changes to one’s lifestyle or finances (that the agencies can see, anyway). which is great for some phone plans and Skype or abroad watching the UK sink. If ever you need to find and alternative phone number for an 08 which costs a fortune on your mobile just use this site its made for folk like us SAYNOTO0870.COM, don’t yer just love sticking it up captain, cheers. 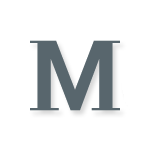 It’s possible to get free credit reports at https://www.noddle.co.uk/ – I use that, I’m not sure how it compares to the official sites in terms of detail but everything seems to be there for me in enough detail (just curiosity – I’m not looking at a mortgage or anything). They apparently make their money off suggesting credit cards and other products for you, and it’s got one of those voucher sections where you can find money off restaurants and the like. This is a quote from Experian where they explain that their score isn’t the same as any lender’s. There are many forums where the usefulness and validity of Experian’s credit score is debated. Most people say it is useless. Credit Scores, are only an indicator of the state/health of your credit history. They are not indicative of whether you will be accepted for credit in any way, you can have an Experian Credit Score of 999 (excellent), and be turned down for credit. Many other factors are considering when applying (e.g. homeowner, time at address, salary, time with employer, history with lender you are applying to). That is not to say your credit history is not a key contributing factor in lending decisions, because it is. Great blog, felt like my own blog. I too had average score in 2005, but when I checked in Dec 2012, it was 999. Yep, did get that 5% cash back Amex platinum card too. I keep one visa card for those places that does not take Amex. More and more places have started taking Amex and the cash back is a great way to save money. For those who like cash back, I recommend opening up the 123 account from Santander, if you have savings, they pay 3% on balances over £3000, better than any other savings account out there (maybe ex for isa’s). Even better if you have a Santander mortgage, which pays 1% cash back for up to £1000 mortgage payments. When my 24 month phone contract ended, I took on a sim only plan with Virgin on a month to month contract. It cost me £12PCM which includes 1200 mins, unlimited txt (which I never use) and 1GB of data. It’s the best sim only plan you can get at the moment. I use my old iphone 3GS. If I take up a contract, it will be around £31 PCM for IPhone 5 for similar deal and a 24 month contract. So in essence a saving of £456 over the 2 years. I also cancelled my subscription with Experian. It went from £5.99 PCM to £14.99 PCM. I called up and cancelled the account but decided to pay £1.99 PCM for keeping me updated via alerts to ensure there is nothing unusual going on in my account. When these CRAs started up, I objected to them receiving confidential, personal information & profiting by receiving it. I still do. Could it be your health records being inspected by 3rd parties next? TopCashback are currently offering just over 5 quid for signing up to the free trial. Turns out that I had one late payment on a credit card 46 months ago ! Apparently it stays there for 6 years. It doesn’t appear to impact my score. It looks as though the 7 different credit agreements (6 credit cards & mobile phone) are seen as a bit too many … even though I’m only using 6% of my combined credit card limit ! The credit score system seems to be out of date . As already mentioned the score does not reflect net worth ,ie savings etc. The secret methods used by lenders should be made public . Surely it is time for an up to date fair system for all. Shine the light on the web and don’t get caught up in it. I retired six weeks ago and now need a smaller car. My Jaquar is 12 years old and because RHD no one wants it in European Lhd situations. I therefore went to inspect a new small hatchback car for discounted price.Of course they offer best deal on buying finance. I agreed for the smallest amount on higher purchase as i have never had to do this before i was rather lost.Then the bombshell dropped as I have never used a credit card and have owned my own house outright they could not trace me at all and so had to refuse the car deal. I offered full cash but they had to wait for the top guy to accept?? i was so angry i had to drive back in my illegal car and forget buying new. I have never had a loan of any sort always earned and lived within my means. Then I heard of a credit report and maybe that will do the business if one exists in my name that is. I always wondered how I could boost my score after constantly getting ripped off by lenders,credit card companies and banks due to my poor credit, My lovely friend introduced me to this Hacker Mr Aaron Swartz (aaronswartzcyberservices At Gmail Dot Com) is the best hacker for the job i can tell you he’s very efficient and always delivers on time plus and I decided to give him a try and just last night i checked my credit score and saw the positive changes he had made!! Contact him today and get all fixed, The only constant in life is change and your credit will change for the better, Thank me later.